Today’s text is powerful, and it has spoken volumes to me. Early on, Jesus tells His disciples that He wants them to cross over to the other side. He wants them there in my opinion, so that He can teach them truths that they can learn only under these circumstances. They get out into the sea and a storm seemingly comes up out of nowhere and the disciples immediately panic! They fear for their lives and ask the Master who is asleep, “Don’t you even care that we are going to die?” Didn’t they realize that they were with the very Son of God? Didn’t they know that it was He who created the sea as well as the storms? Why did they panic? Why didn’t they simply put their trust in Him? Where was their faith? 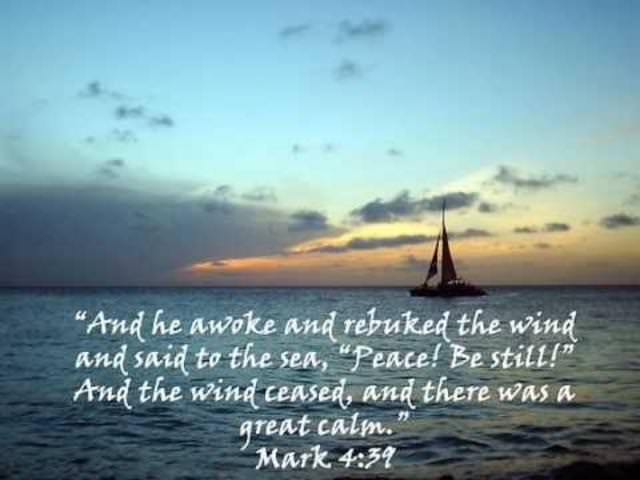 Have you ever wondered if God was asleep during your storm? Have you ever cried out to the one true Holy God and said, “Don’t You even care about my situation?” Perhaps you and yours are in a storm this Christmas season. I believe that growing as a Christian involves a series of storms in our life. I also believe that to witness who He really is and begin to really trust in Him we must first cross over to the other side.